Last night we launched our six-week Eucharist & Mission journey and I’m finding it a bit hard to put the experience into words. None I can come up with is robust enough. Words that come to mind, but are still lacking: feast, banquet, heaven, and full. The Judson University choir supplied an energy and beauty that we felt inside our bodies and yet also understood to be well beyond us (especially the Lord’s Prayer song at the end!). 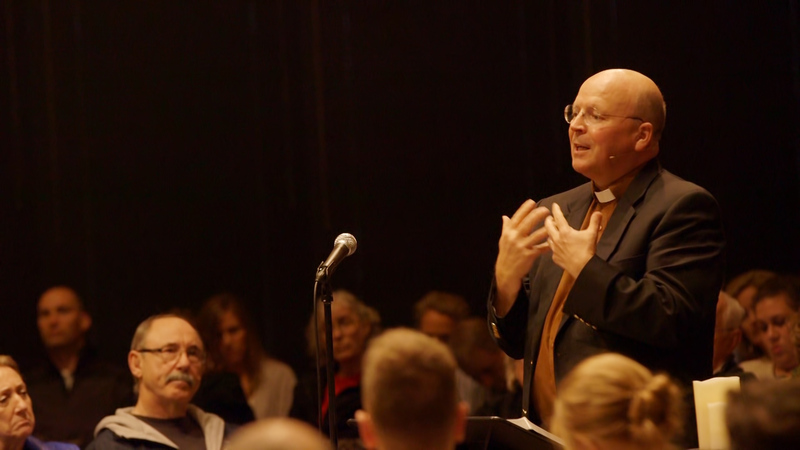 Scot McKnight’s teaching was rich and thought-provoking, transporting us to Jesus’ last Passover meal, and then ushering us fully into the present, where we found ourselves in the Chapel taking Christ’s body and blood into our bodies. You can listen to Scot’s full teaching below or by subscribing to our podcast. I have never heard this phrase, “embodied remembrance,” before and when I typed it into Google this morning, what came up was article after article about how injured bodies remember trauma. Well after the mind moves on, the body still remembers. I’ve become captured by the fact that Jesus didn’t give us words to memorize to remember him and his sacrifice. He didn’t give us song lyrics to sing. He didn’t ask us to remember with our minds or hearts or souls. He instructed us to remember with our bodies, knowing that our bodies would do so in a way our minds and hearts cannot. I can’t wait to learn more about this through the week. What stood out the most to you? What do you want to learn more about as you reflect on Scot’s teaching? This week, may our Lord Jesus Christ, who was broken open for the sake of the world, grant you peace. And may your body remember the gift of liberation given by and through Jesus, our Passover Lamb.